Landelijk huis op een paar kilometer van de stad. Woning 12: Landelijk huis op een paar kilometer van de stad. APPARTEMENT UITZICHT 50 M2, 2 slaapkamers, 1 badkamer, 4 personen. Woning 35: APPARTEMENT UITZICHT 50 M2, 2 slaapkamers, 1 badkamer, 4 personen. We have enjoyed our stay and the chalet. 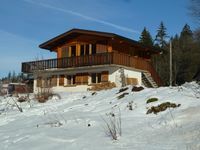 Great location, close to the slopes of La Bresse. 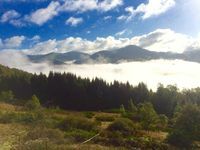 Our kids have played in the garden and we loved the view that the house has over the hills. We had an awesome weekend at this house. The view is just breathtaking! The kitchen, bed-/living room and bathroom are beautifully renovated. Everything looks just like the pictures! The rest of the farm is in the original style, which is lovely. As far as furniture and cooking utensils goes: it has everything you need. We did not use the sauna, but it looks really nice! The house is clean and tidy and has plenty of space. In the area, there are a lot of nice places to visit. We rented mountainbikes and biked from Fresse-sur-Moselle to Remiremont on an old train route. The view was amazing and the villages we passed were typically French. Highly recommended if you want a nice bike ride! We really recommend this place - it is beautiful, clean, has everything you need and the owner is really friendly as well. 10/10!